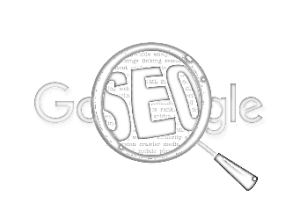 Search engine optimization is a term that is tossed around in reference to internet marketing. But, do you really know what it means? When used correctly, SEO is the key to making sure your business is reaching the right people. Basically, SEO works by using algorithms. Google uses algorithms to score every website and every search on the Internet. The goal is to get your business onto the first page of Google results – and Brand Sentrik can do that. Optimizing the search results takes a great deal of time and effort. Google considers many factors, and Brand Sentrik has experience in working with each of these elements. We create content that is unique and will set you apart from your competitors, while highlighting keywords that matter for your business to get you noticed. Reviews matter. We rely on the reputation you have already built amongst your consumers. Brand Sentrik’s experience in SEO will establish your business as the best choice for consumers, allowing you to continue to cultivate client relationships and drive your business forward. Your previous company may have ranked you your business for keywords but are they getting the phone to ring? A thorough keyword research analysis is key to a sucessful Search Engine Optimization campaign. With tools like Google Analytics analying exactly what is wrong with your site is simple. Get a detailed overview of where users are coming from and how it's impacting sales. Link Building is the foundtation of SEO. Building high quality links is essential. An effective technique for SEO is to include social media. It's important to have your keywords tracked and to adjust accordingly. People are always searching for new ways to discover. Your traffic will begin to grow and you should use that as an oppurtunity to find highly valuable keywords. First Page On Google Yet?